The Teenage Engineering PO-33 KO is a handy little micro sampler offering 40 seconds of sample time, and a built-in microphone for sampling foley sounds and your own voice on-the-go. The PO-33 KO features 8 slots for melodic samples and 8 slots for drum samples, plus sequencing abilities, allowing you to create quick ideas on the move. The PO-33 KO features a range of preset drum kits, as well as 16 punch-in effects for laying over the top of your recorded samples. 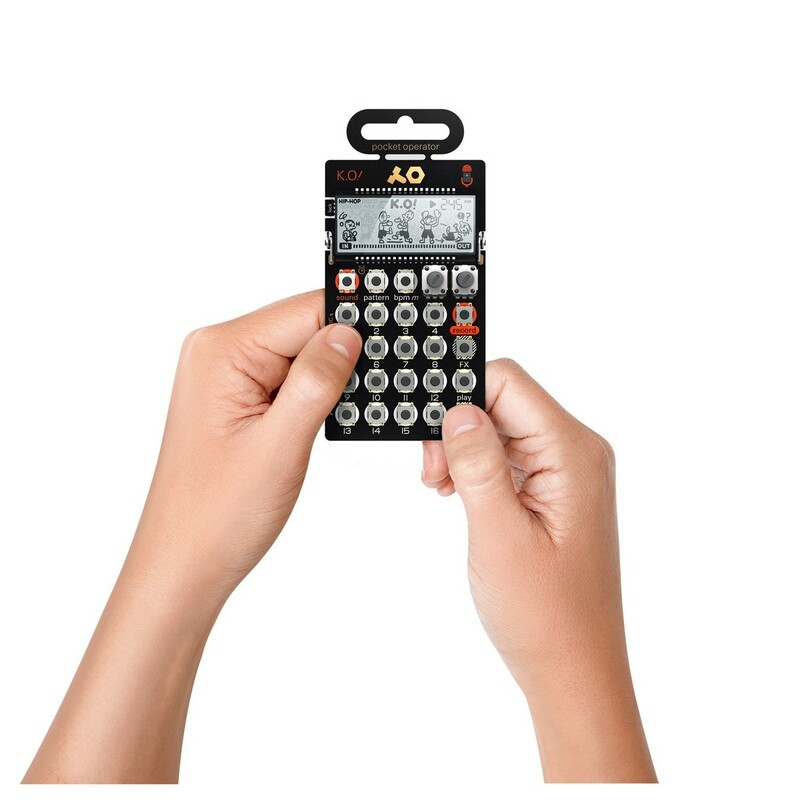 Featuring a built-in speaker and battery powered operation, the PO-33 KO is the ideal portable sampling device. The PO-33 lets you sample any sound source using the line in, or the built-in microphone. Use the built-in microphone to record your voice or foley sounds on the-move, then build a sequence and enhance it with the integrated 16 effects. The PO-33 offers 40 seconds of sample time, with 8 melodic sample slots for chromatic playback, plus 8 banks for drum playback. You can also live record drums over your sample using the high-quality preset drum kits. The PO-33 KO features 16 chainable patterns, BPM with adjustable swing, and parameter locks, providing you with a miniature sampler that's sure to provide you with hours of enjoyment. The ultra-compact design means you can sample and get creative wherever you are. 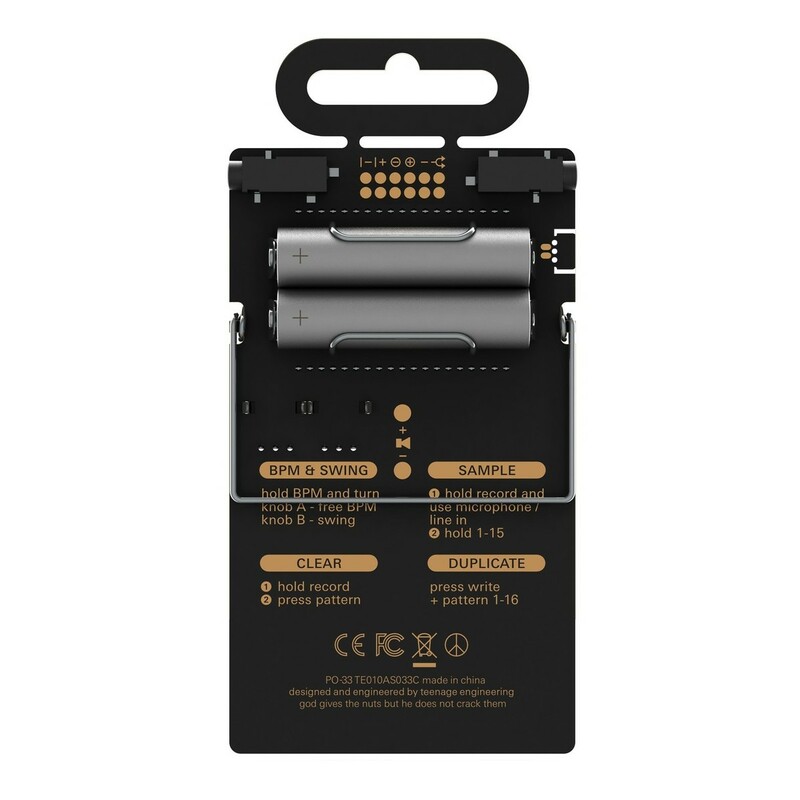 It features a built-in speaker, and it is battery powered, making it an ideal portable solution. It is the perfect companion for those long trips. 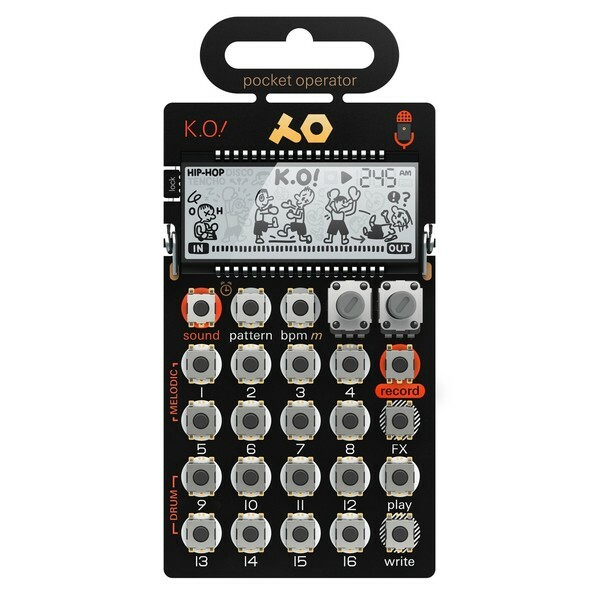 In addition to the voice sampling, the PO-33 KO also provides a built-in sequencer for creating your own patterns, as well as 16 punch-in effects. Expect loop effects, stutter, scratch, reverse and more. You can use the integrated drum preset kits to tap in drum sounds on-the-fly. The PO-33 KO lets you quickly manipulate and edit your sounds on-the-fly with the front panel buttons. The PO-33 is a 4 voice sampler, which allows you to layer over multiple drum sounds with different preset kits.